Parnaby Cyclones is County Durham company that supplies huge processing and separating machines to mining, quarrying, recycling and waste treatment plants all over the world. We’ve been working with this family business for nearly 30 years, with the founder, his son and now his grandsons. 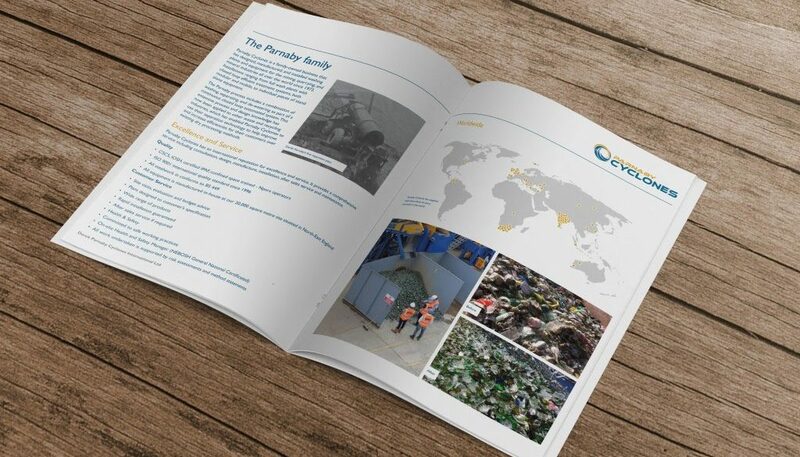 In October 2015 we provided a comprehensive design service for Parnaby’s exhibition stand at the UK’s major recycling and waste management event. This including creating four new videos with animated graphics and voice over showing the separation on different materials, exhibition boards, a new range of brochures and leaflets and branded polo shirts.